The Arewa Youth Assembly (AYA) has presented the Managing Director/Chief Executive Officer, Asset Management Corporation of Nigeria (AMCON), Mr. Ahmed Lawan Kuru, with yet another Heroes of Nigeria Platinum Leadership Award of 2019. While presenting the award, which was received on behalf of the MD by the duo of Usman Abubakar, Head General Support Services and Mr. Jude Nwauzor, Head Corporate Communications, Comrade Mohammed said Kuru deserved the award because he was singled out as a leader who through his assignment at the corporation, is contributing to the socio-economic development of the country, by ensuring stability in the banking sector and the capital market, which are critical to the growth of the Nigerian economy. 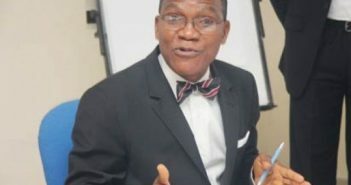 Describing Kuru as the ‘epitome of good leadership and the ultimate symbol of a true and ideal Nigerian nation,’ Danlami said his ability to work and lead people from all walks of life; different religions and ethnic differences without any bias, were some of the characteristics AYA considered before nominating him for the all-important honour. He said that AYA would forever admire Kuru’s contribution to nation building, youth empowerment, focused leadership, educational development and community mentorship.